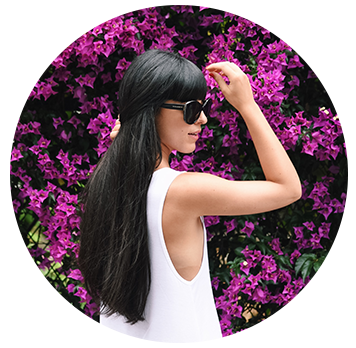 Two days in Naples. A rather unusual photographic shooting in the heart of the historic center of Naples. Going along via San Biagio dei Librai, commonly known as La Spaccanapoli, and the various alleyways I found myself among a huge number of shops, craft shops and stalls one more typical than the other. 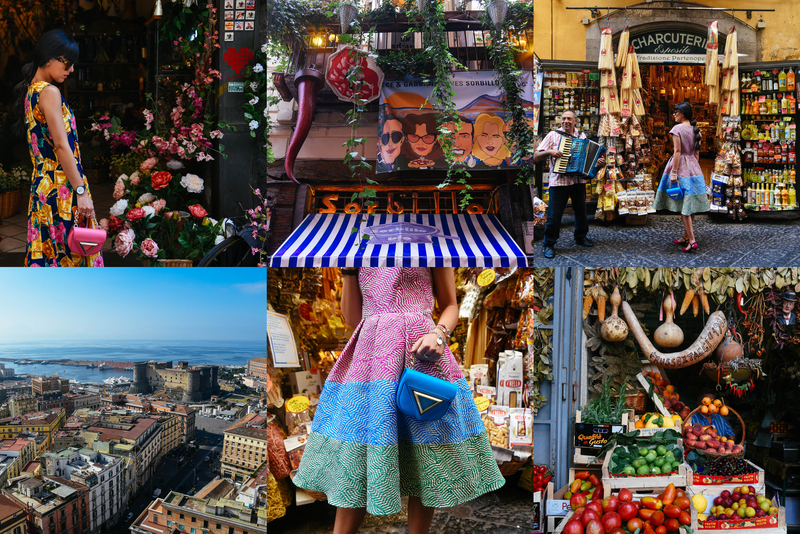 An intriguing Neapolitan location, ideal for telling the story of Giaquinto, a brand that produces women’s handbags and accessories entirely Made In Italy. I stayed two days in Naples with Giaquinto. First appointment: da D’Aniello Boutique in Aversa (one of the largest multi-store of the whole Campania, as well as the first Giaquinto flagship store) for the collection’s launch, the first time I could touch with my hand and try the handbags on me. Giaquinto bags are really funny: don’t they look like candies? It is no coincidence that my favorite model is called Candy, a small but quite spacious bag (it can even fits my iPhone 7 Plus). It is available in pastel colors and in metallic shades, but it’s also made with different type of leather. The recurring motif of Giaquinto collections is the use of exclusive and prestigious materials, distinguished by their unique workmanship. Giaquinto offers a huge choice of shapes, textures and colors to allow each woman to wear the model of bag that represents her uniqueness as much as possible. The thing I love most, however, it is the ability to fully customize the product. An example is the Candy Bag in white leather, which can be customized with its own symbols and favorite designs, to be realized strictly by hand. I have literally fallen in love with the Candy color blue sky: the model can be carried either by hand, by inserting it into the handle with a large knitted golden chain, or a shoulder strap (which is removable) or by fastening it to the belt thanks to the presence of a passer on the back of the bag. The day after the event was dedicated to the shooting in the heart of the city, as well as to taste some typical Neapolitan dishes, starting from breakfast in the famous Leopoldo pastry shop. After having sfogliatella and a coffee, we headed towards Spaccanapoli, losing ourselves among the shops selling pasta, flowers, handmade magnets and other typical objects, as well as fruit and vegetable, stalls with statues, the world famous cribs… We literally couldn’t stop taking a picture every step we took! At lunchtime we stopped by Sorbillo, the best place to enjoy a classic Neapolitan pizza. Large crust and thin inner pizza, exactly like I love! After lunch Gino Sorbillo personally welcomed us in his studio upstairs to offer us coffee, showing us his infinite collections of vintage objects and paintings, including that one sent by Domenico Dolce and Stefano Gabbana who depicts him while offering a pizza to their models in the streets of the historic center of Naples. Picture that became an advertising campaign on many magazines in Italy and overseas! In the afternoon I got back into the shops because I wanted to buy some stuff for my new home, until it was time to come back! A huge thanks too Giaquinto for having me at their beautiful event and for allowing me to shoot these fantastic pictures in the heart of the historic center of Naples!